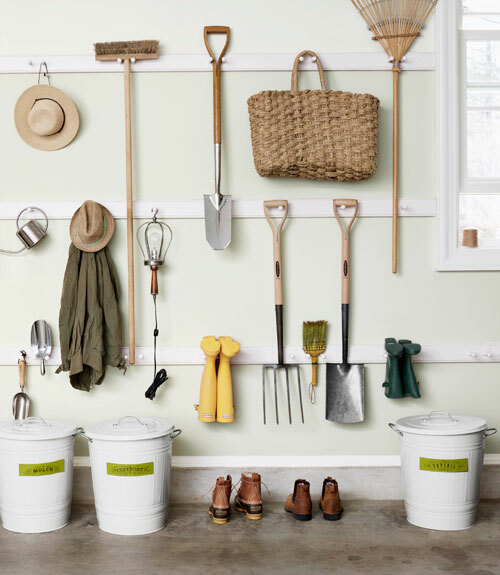 This month’s issue of Country Living has a wonderful feature on creating a beautiful and well organized garden shed in your…garage!! CLICK HERE for The Garage Turned Garden Shed article. 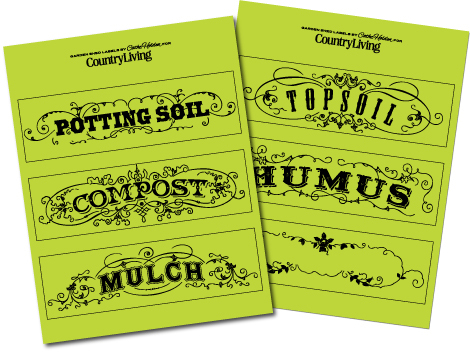 I designed some labels for you to download free courtesy of CountryLiving.com to print to colored paper and add to your garden shed bins. 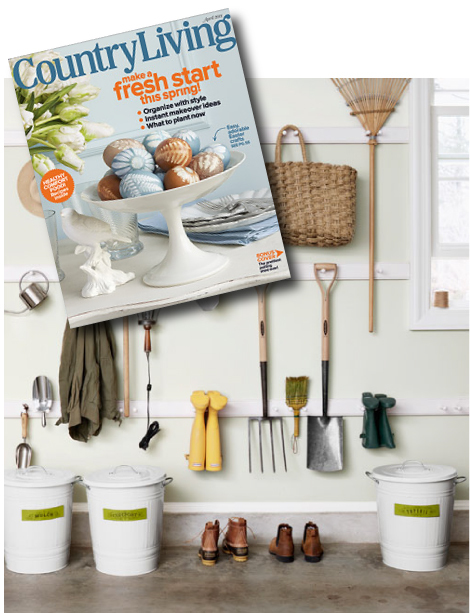 This entry was posted in CountryLiving.com, Free digital downloads, Free PDF files, Gardening. Bookmark the permalink. Thanks so muCh for sharing the labels. Those are so wonderful! And congratulations on their publication in Country Living Magazine! That is so awesome! The hardware store had fancy plastic plant markers for sale today.”Cathe probably has much better graphics to make my own plant markers” was exactly what I thought when seeing these markers. This is such a great organizational idea and the labels are so pretty. Thank you and Country Living for sharing them with us! Hi Cathe! I love your potting shed labels!!! Now I have to find some way to use them in the shop. They are wonderful – you are so creative. I hope you can make it back to Sutter Creek sometime soon! These are awesome! Congrats on the Country Living feature, and thanks for sharing. those are beautiful! we are setting up a worm bin tomorrow, i may have to stick a fancy label on it. oh la la! Compost has never been prettier. Those labels are positively juicy! OMG, how did I miss this post! I’m saving these babies! I just have a tiny, standing room only, shed right now, but hope to have a full-size one in a few years. Thanks for your gorgeous freebies! Ya know – you really should sell all these! I can’t figure out how to get those garden shed labels that say Potting soil, Mulch and garden soil. Help! I keep smaller quanities of potting mix and garden soil in 5 gal. painters buckets that you buy at Home Depot. That would look better than foil tape to label the contents. A CHAQUE FOIS, J’ARRIVE SUR LA PAGE DE LA REVUE, MAIS RIEN NE LES INDIQUE !!! I cannot find the download for the Country Living Garden Shed Bin Labels. I’ve clicked on every link you’ve provided & no luck. I’d love to print them out as a gift for my Mom who has a new green house.